Before the Bad News Bears There Was the Shiloh Ft. McKinley McDonalds Little League Team. In 1976, the movie, “The Bad News Bears” was released. It was the story about an aging, down-on-his-luck ex-minor league baseball player who coaches a team of misfits in an ultra-competitive California little league. 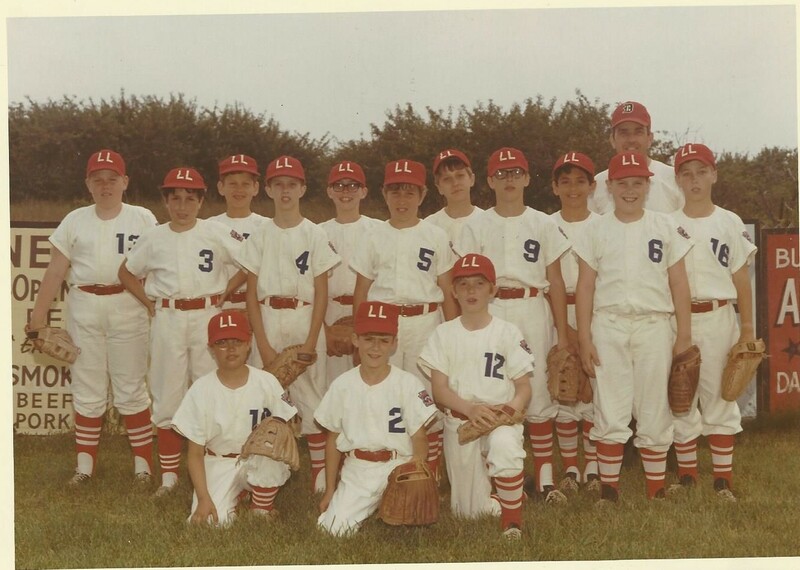 About five years prior to that I was on a team that may not have been a bunch of misfits, and did not play ultra-competitive baseball, but I know we did not win many games. Perhaps someone saw us play and decided to make a movie about it? I think that I along with Eric Bissonette, John Sharp, Tom Foster, Chris Abston, Jeff Anon, Rickey Dietz, John Genovesi, and the rest knew a little about how to play baseball and Mr. Sharp, our coach, definitely knew how to play baseball. However, as they say, our knowledge did not quite carry over into proper execution and the result was that we just did not win many games. If my memory is correct I think we won two games while losing fourteen that year. Still, I had the opportunity to play baseball that year and the next (I think we doubled our wins the next year and won four while losing twelve). I learned a very valuable lesson those two years that I have used every year since then. I learned how to lose. Have you noticed that, in our society today, we do not talk much about losing? Everybody loves a winner, right? Yet, that is one of the beautiful things about baseball, everybody loses and even the best team can expect to lose one-quarter to one-third of its games. So, if you play baseball very long, you better learn how to lose. I had the opportunity to learn a LOT those two years. Let me make this clear, I do not like to lose, never have and never will. But we are told from childhood that “you can’t win them all.” So, therefore one can expect to lose at least once in a while. Mr. Sharp knew baseball and I do not think Mr. Sharp enjoyed losing, but it was evident that he enjoyed teaching us kids, not only about baseball but about life. I still hate to lose, but these days I don’t sulk off on a solitary walk home to blame my Mother for my losses. However as a view the world around me, it appears that learning how to lose is a lesson that many folks, young and old, would benefit from learning today. Just a few weeks ago Mr. Sharp passed away. He touched many lives and left us all better for it. There may not be baseball in heaven, but if there is, I have a feeling Mr. Sharp has season tickets to watch the Angels play. This entry was posted in baseball, Humor on May 24, 2016 by Leonard.